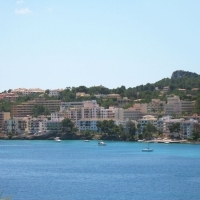 Santa Ponsa (or Santa Ponça) is a very well known and large holiday resort on the Southwest coast of Mallorca between the resorts of Palma Nova and Paguera. 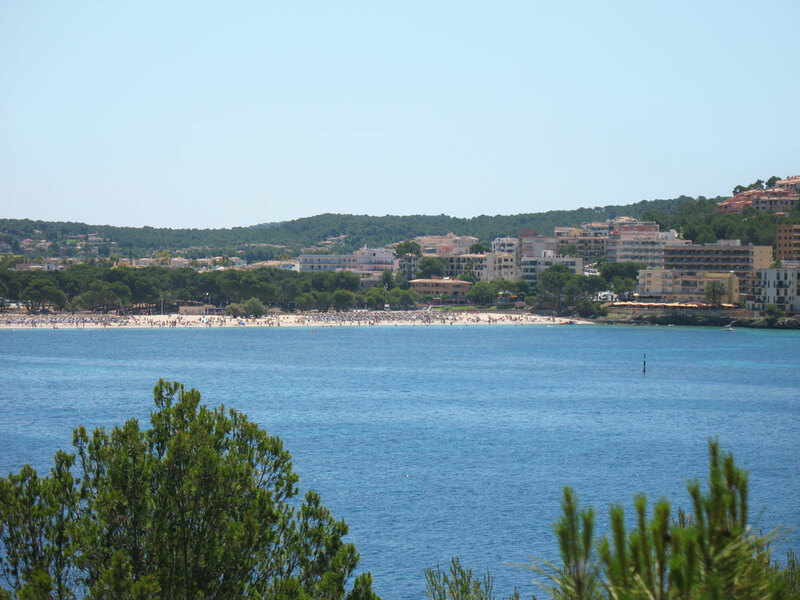 The resort is built around a large bay with Playa de Santa Ponsa, the main beach of the resort, at the center. 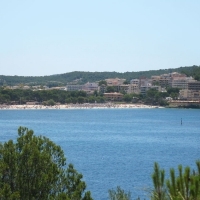 There are also two lovely small bays with beaches, one on either side of the main beach. 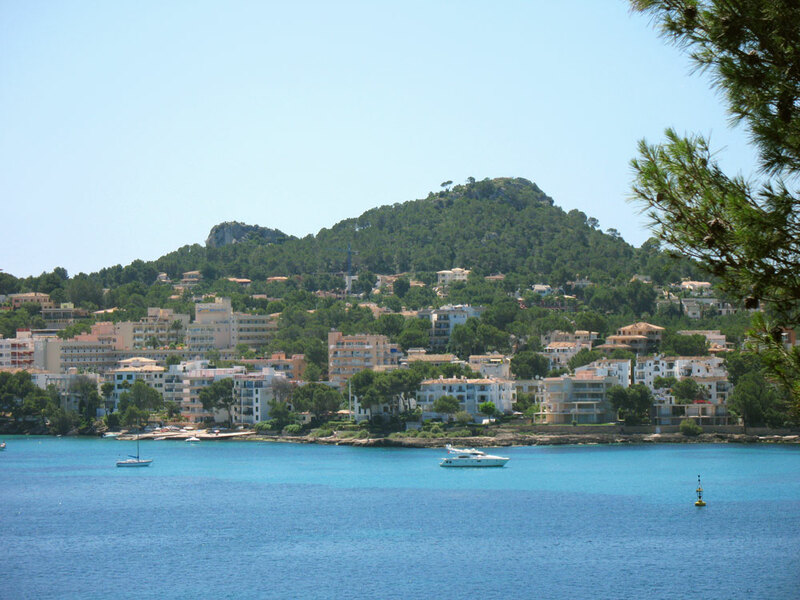 The northern side of the resort is build on a hill with hotels and restaurants offering beautiful views down to the Bay of Santa Ponsa and to the beach. 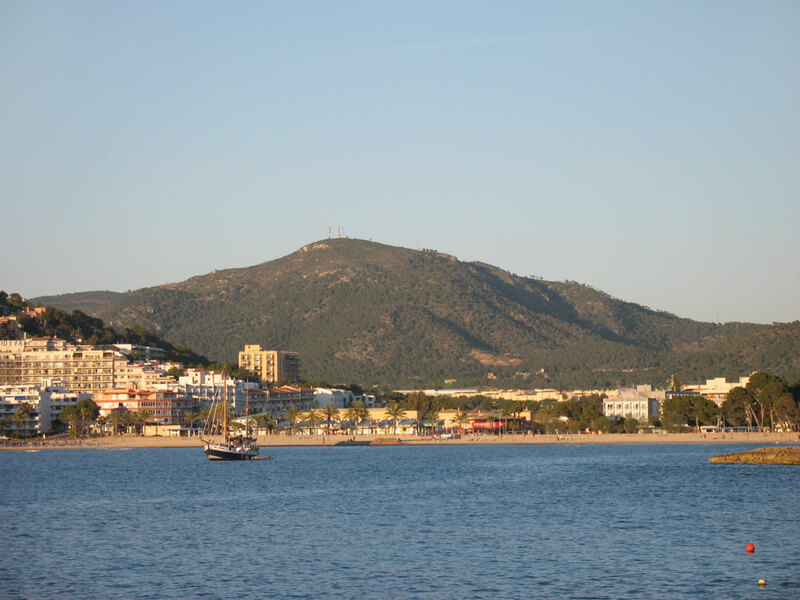 The main street of the northern side, Carrer Ramon de Montcada, starts from a small town square and descends down to the beach along the coastline. There are many hotels, supermarkets and restaurants along this street. 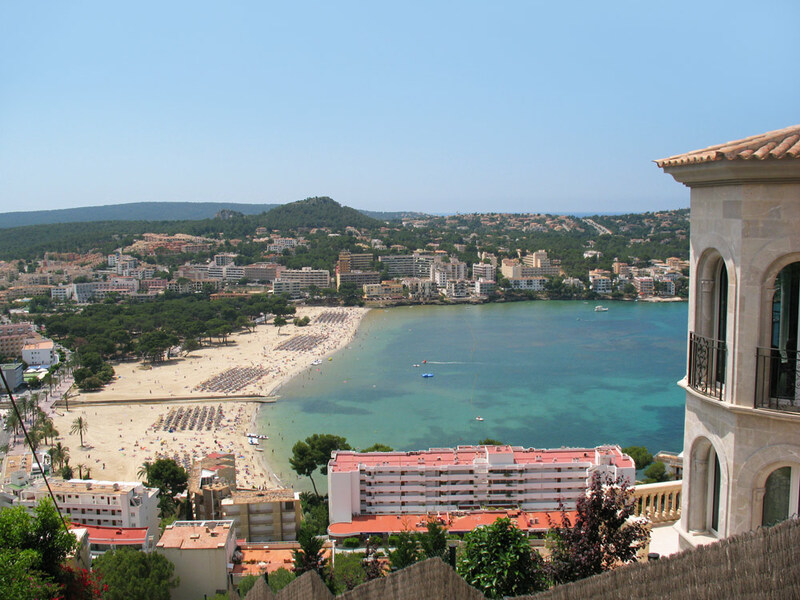 The southern side of the resort is a bit less elevated with another main street of Santa Ponsa called Avinguda Rei Jaume I. 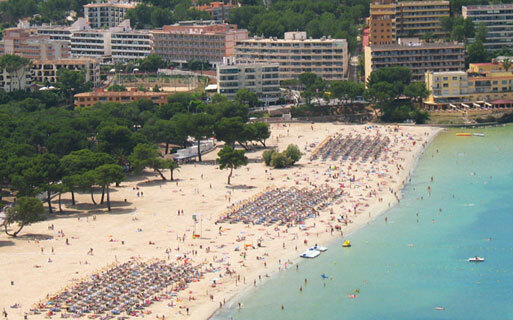 This is the biggest street of Santa Ponsa offering a variety of restaurants and shops. 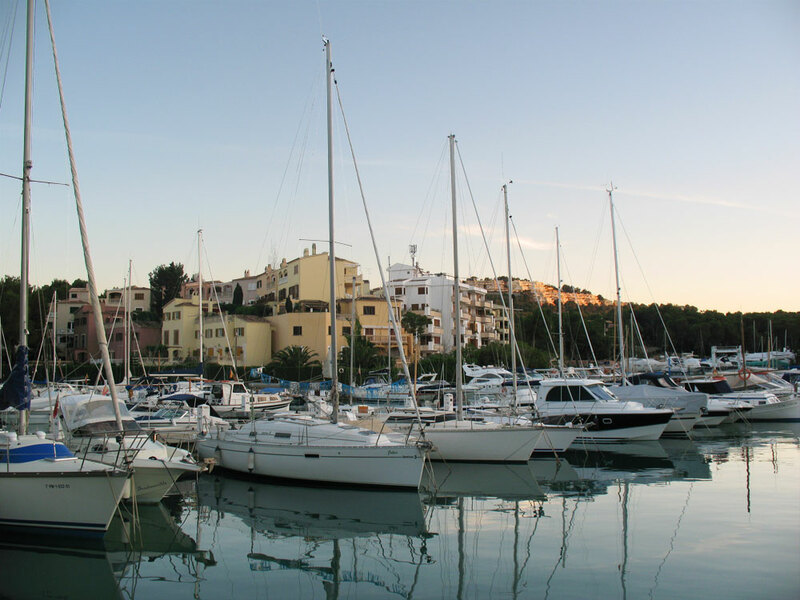 There is a small boat harbor at the southern end of the resort and a scenery point with a great view to the neighbouring resort of Paguera. 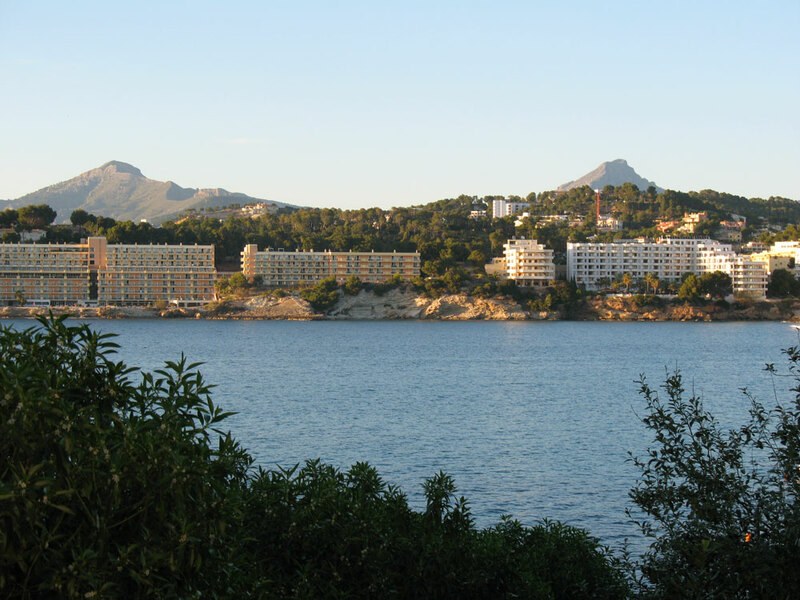 There is a big roundabout behind the park of the main beach which is a great starting point for getting around the resort. 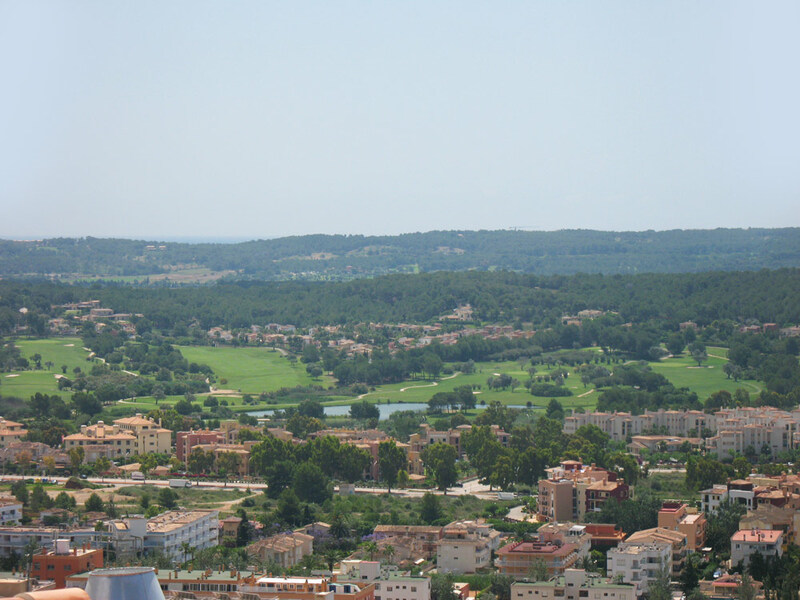 At the area of the roundabout you can find a taxi station and several bus stops. 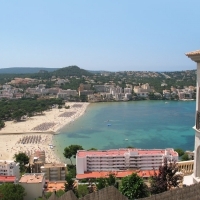 Bus number 104 takes you to the resort of Paguera or to the city of Palma de Mallorca. 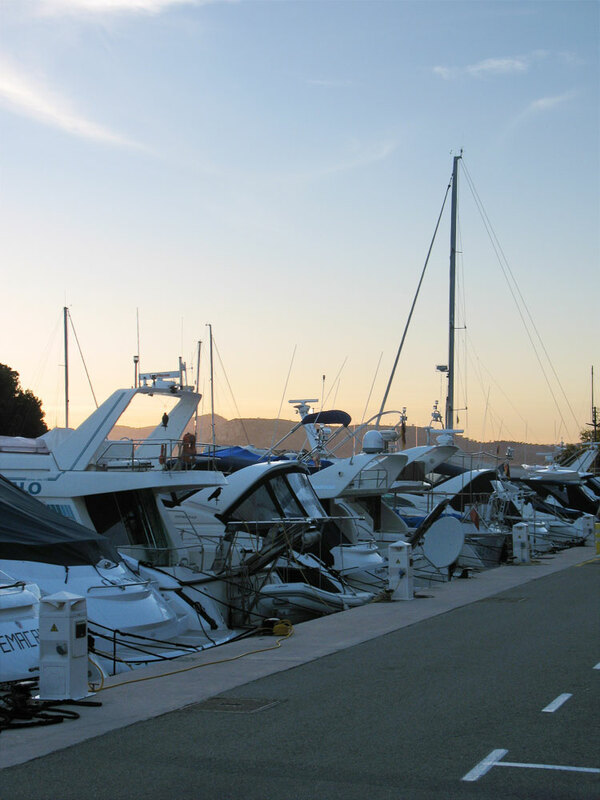 Bus number 102 goes to the beautiful harbor of Port d'Andratx. 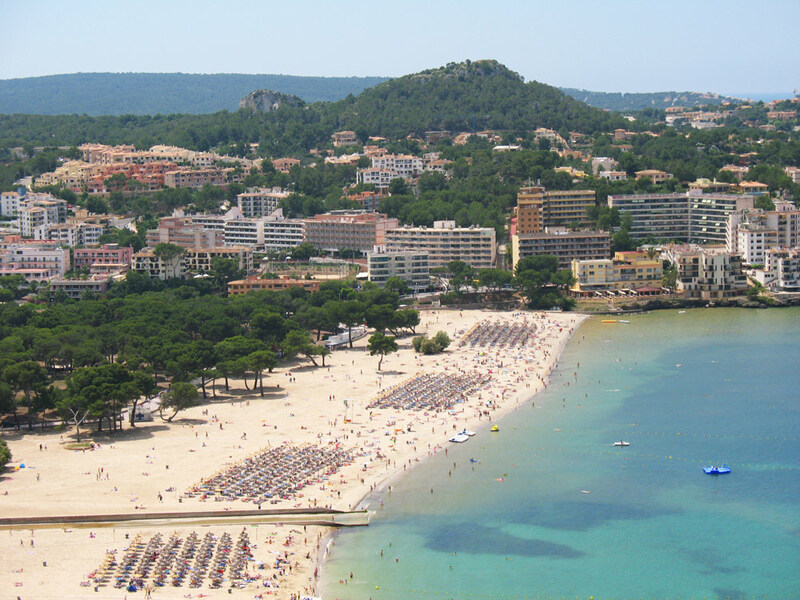 In Santa Ponsa the approximate waiting time for a bus is about 20 minutes and almost every bus goes to the city of Palma de Mallorca. 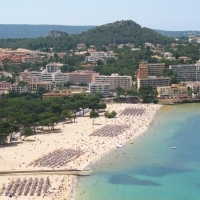 There is also a large parking area near the beach if you are moving around with your own car. 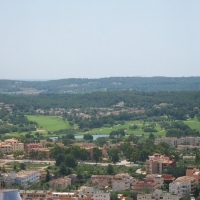 Santa Ponsa is a great destination for Golf. 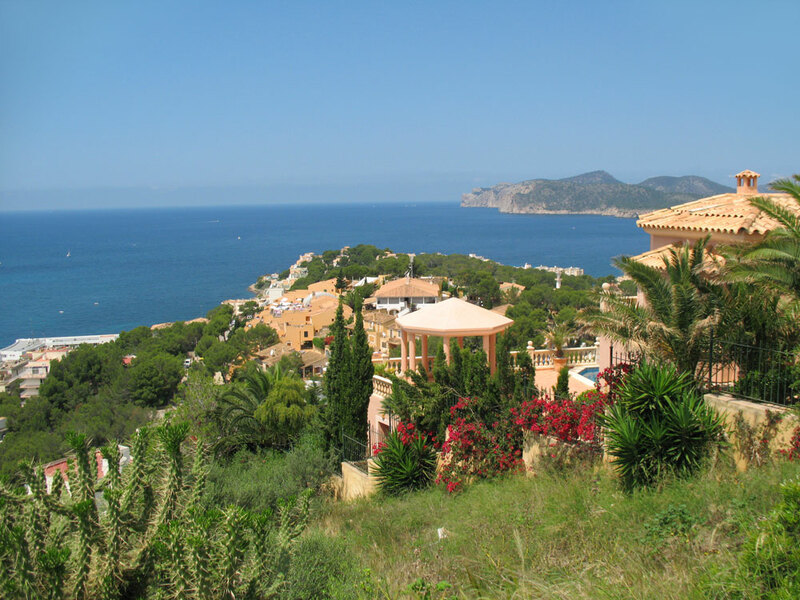 Santa Ponça has two golf courses on the outskirts of the resort and the golf courses of Andratx and Bendinat in Illetas aren't much farther away either. If you're interested in cruises, there is a ticket stand near the beach which is selling tickets for several different cruise excursions. 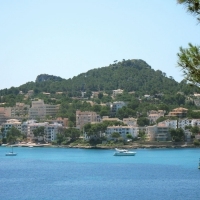 The best place for shopping in Santa Ponsa is the area around the main beach of the resort. 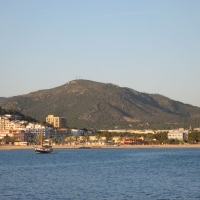 There are shops that are selling clothes, shoes, handbags, beach accessories and parfumes for example. 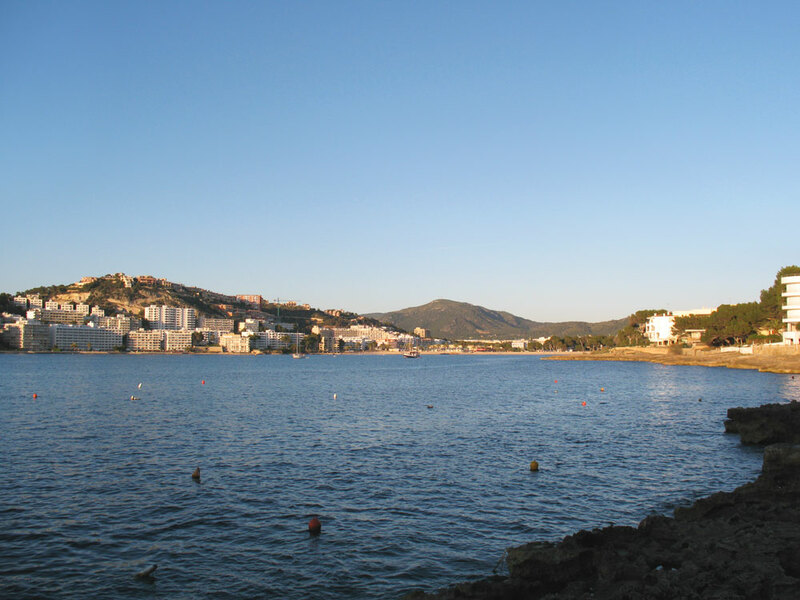 You can find more boutiques and shops along the main streets of the resort on the both side of the bay. 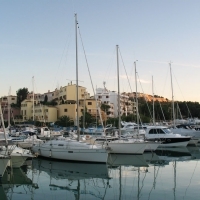 There are two large Eroski supermarkets along the southern main street Avinguda Rei Jaume I. The main street of the northern side, Carrer Ramon de Montcada, offers many small and middle sized restaurants for various different tastes. The street ends at the small town square with several nice restaurants. Near the beach there are more fastfood restaurants and pizzerias. 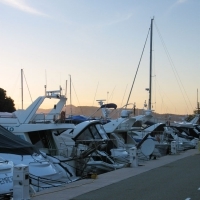 The southern main street has the biggest selection of restaurants with seafood restaurants for example and in the harbor there are two a bit more sophisticated restaurants in beautiful and relaxing surroundings. 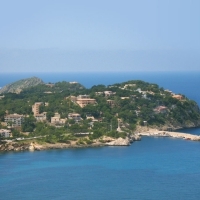 The terrace of Hotel Meson del Mar has just been renowated in the spring of 2008. 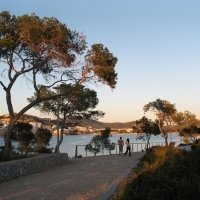 It is located on a great spot at the southern end of the main beach. 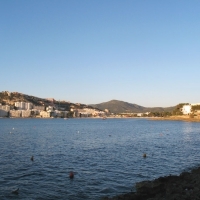 The Square is one of the biggest nigtlife centers in Santa Ponsa. 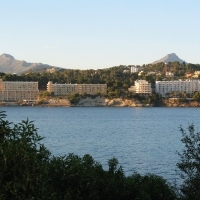 It is located in the northern part of the resort. The square is surrounded by pubs and restaurants and there are live music performances and shows every night. Also the roundabout along the Carrer Ramon de Montcada close to the beach is packed with restaurants and pubs with live music performances. 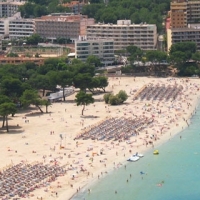 The tourist info is located at the main beach next to the park. 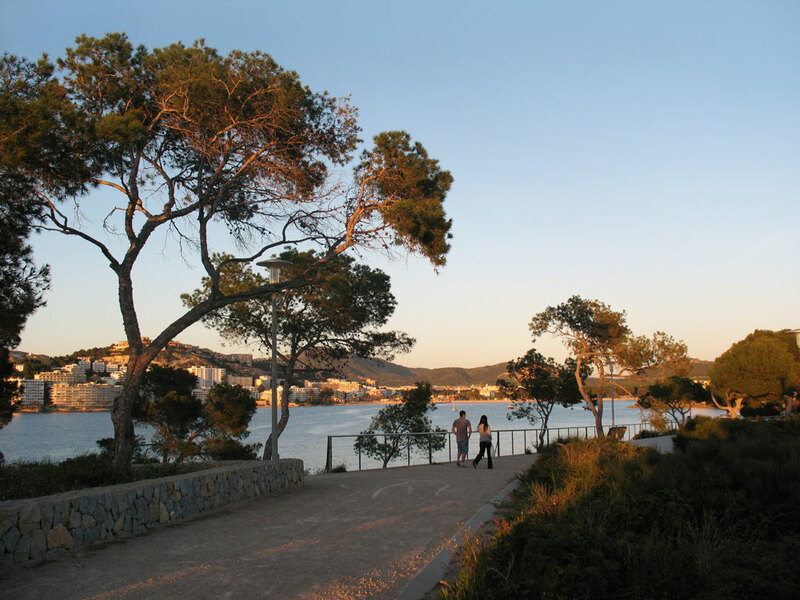 The tourist infromation is open everyday from 9:00 to 18:00. Many hotels have a doctor visit the hotel premises several times a week, but you can also go to the medical centers directly. 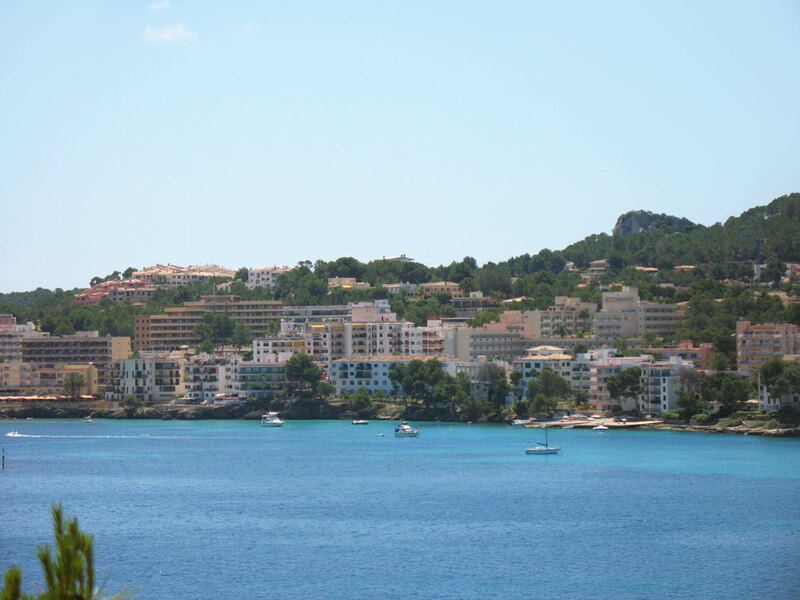 Santa Ponsa has several medical centers around the resort. There is a medical center and a pharmacy at town square at the end of the Carrer Ramon de Montcada. 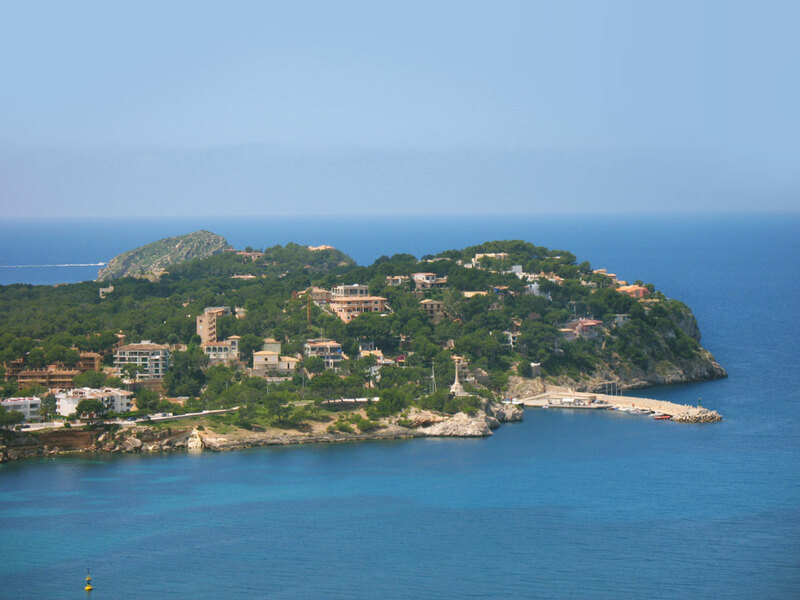 Another medical center and pharmacy can be found next to the tourist-information and there are more doctors along the Avinguda Rei Jaume I.